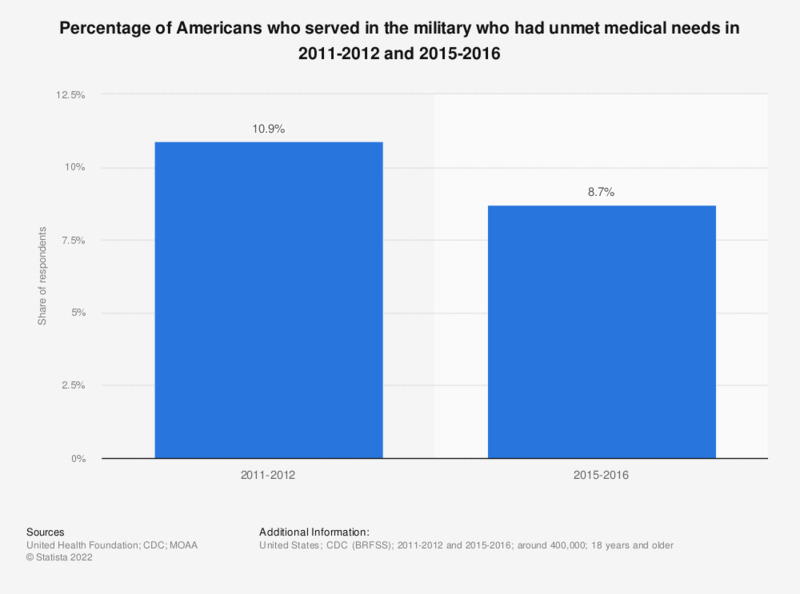 This statistic shows the percentage of those who have served in the U.S. military who had unmet medical needs in 2011-2012 and 2015-2016. It was found that in 2015-2016, around 8.7 percent of those who served in the military had unmet medical needs. Percentage of adults who report there was a time in the past 12 months when they needed to see a doctor but could not because of cost.